For a new investor Contracts for Differences (CFDs) are where it starts to get complex. Sure, the start of an investment journey can seem overwhelming at first. But after the initial establishment of a trading account and the first couple of buys, the process gets easier. Ultimately building investment expertise is a long road, and CFDs are one stage in it. New buyers understand the ‘regular’ purchase of a stock today sees them take ownership of the stock the same day. Futures trading still features a buying and selling process, but has a different structure when it comes to ownership. Instead of ownership of the actual asset, a CFD sees a buyer acquire a tradable instrument that ‘mirrors’ the assets market behaviour. When someone buys one of these tradable instruments they take what is known as a ‘position’. This position is obtained by forming a contract with a broker, with an agreement they will ‘reverse’ the process at a certain date. For example, a broker agrees to sell a buyer 10 stocks at the market price on May 1, and the buyer agrees to resell them to the seller at market value on June 1. Because the buyer agrees to buy a tradable instrument (a mirror) rather than the asset itself (the stock), it is a good way to gain exposure to international stocks more easily, and reduce regular commission fees. 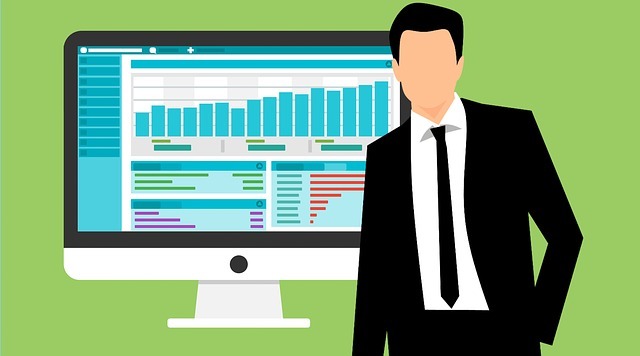 Put simply, CFDs can be a simple and cost-effective way of investing for those who want to gain market exposure, without having to navigate all the bother that can come with buying a stock‚ monitoring it daily‚ needing to anticipate market movements around it‚ and then being ready to sell it when a good time arrives. At its heart, a good investment strategy will always be at its best with diversification. Diversification may mean you miss out on some gains occasionally – if a stock you bought for $1000 in skyrockets you may wish in hindsight you put $10‚000 in it! – but ultimately it’s really a form of ‘investor’s insurance’. In event something does go wrong in one sector a diversified list of assets will minimise your fall out‚ and ‘spread the loss’ over your portfolio. This is always preferable to being invested in just one stock or sector‚ and being always at risk a market crash could totally ruin your portfolio. Some investments will deliver (essentially) risk-free returns, but they will be small. Other investments can deliver great returns but their risk is high. There is no one magic stock of form of investment that will the perfect combination of low-risk and high reward each and every time. When pursued with this understanding in mind, investors can use CFDs to gain access to greater leverage than they could by buying regular stocks. They can also seek to invest in a wide array of investment classes, such as indexes, currencies, treasury, sector, and commodity CFDs. Diversification is at the heart of all good investing, and CFDs can be a great way to achieve this. The risks surrounding CFDs are a lot like the risks of a regular driver using a race car. With this right mindset and experience, CFDs can be a great vehicle to drive you towards your investment goals. But speed can be dangerous, especially when you can’t fully see the road ahead. Even within relatively stable sectors where CFDs can be obtained, there is still the risk that there could be the outbreak of a scandal, or some major crisis, that sees a stock’s price crater. This can happen to blue chip stocks too, like Volkswagen in 2015, or Facebook with the Cambridge Analytica scandal in 2018. Stock prices tumbled for both due to public relations disasters. At its core this is the chief risk of CFDs. That an investor may be able to reasonably shoulder a small loss in stock price value, but a colossal loss could be really damaging. The risk of these events occurring is arguably only getting big, as the disruption era changes the face of business, and means the old stability certain sectors once enjoy are replaced by permanent volatility. CFDs can come with a higher risk than buying a regular set of stocks, the rewards can be greater. Especially when pursued with research and experience in-hand. These two qualities grow the odds any CFD an investor pursues will prove beneficial in the end. Overtime, a seasoned investor comes to understand its wise their portfolio has some element of higher risk to it. Built upon a foundation of other low-risk investments, exposure to higher risk via CFD can deliver really strong returns. Provided the pitfalls of doing so can be navigated, incorporating regular acquisitions of CFDs in your investment strategy can prove beneficial. This article is for informational purposes only and should not be taken as constituting professional advice.